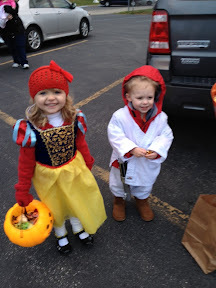 Tonight was trick or treat! It had been rescheduled from Thursday due to Frankenstorm. 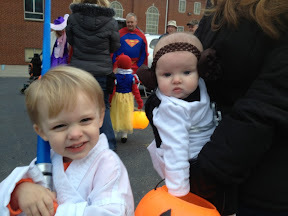 2 months ago I asked Tristan what he wanted to be for Halloween, to which his reply was "Star Wars." 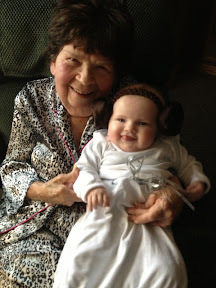 I talked him into Luke Skywalker so Scarlett could be Princess Leia. I didn't know how long she'd allow me (and her brother) costume dictation. Plus, they're siblings so it worked for me. 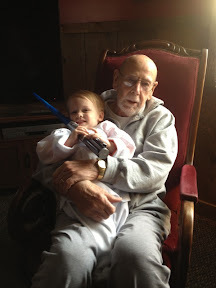 Before it was time to trick or treat at 6, we headed to Memaw and Papaw Ellis' house. It's a tradition I started on Tristan's first Halloween. 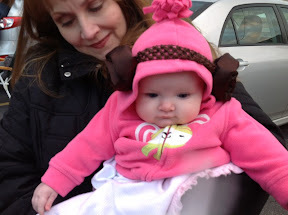 Then we went to church for Trunk or Treat. Essentially, several church families get together and pass out candy in the church parking lot. This year their were 9 cars plus the church hot chocolate station. 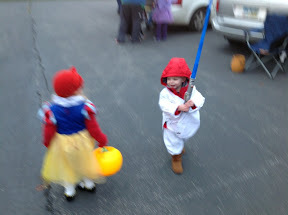 Tristan was thrilled for he and Addison to get candy and play together. 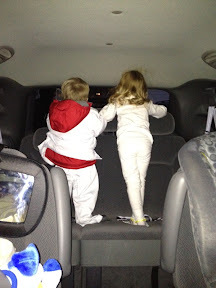 It got colder as the sun went down so after their initial candy run I bundled them up. 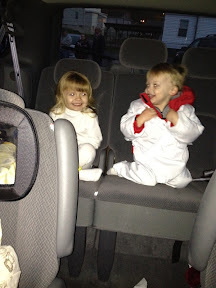 After a bit, Tristan and Addi got cold and went to sit in Britt and Tim's van (and eat chips and candy). They spent a lot of time hollering at me out the back window.